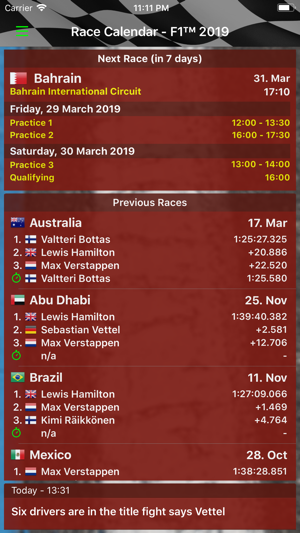 "Race Calendar 2018" is a simple to use App, which gives quick overview of all Formula 1 events and results. 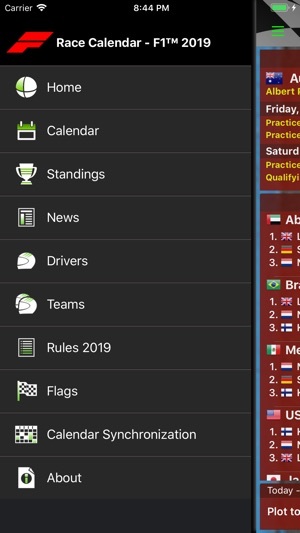 You can see at a glance the complete race calendar with detailed timetable (local) for each weekend, training and qualifying results, driver and team standings after each race and a lot of other information. The app can work offline. Internet connection is needed only for updating the results and the live timing. • Detailed Driver Profiles - Team, Nationality, Titles, Starts, Pole Positions, Podiums, previous Teams, etc. 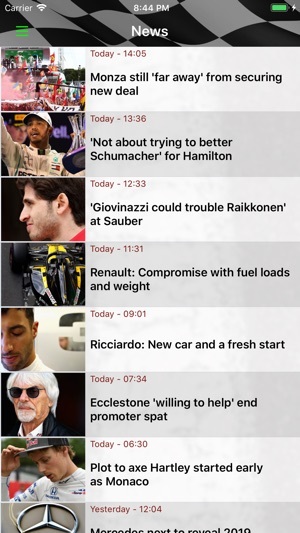 • Detailed Team Profiles - Base, Drivers, Chassis, Engine, Tyres, Debut, Titles, Wins, Pole Positions, etc. 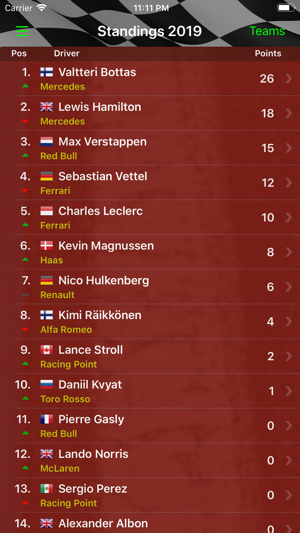 • F1 Standings matrix - all results at a glance (just turn the iPhone to landscape mode in the view "Standings"
• iPhone/iPad calendar integration - Stay always up to date! 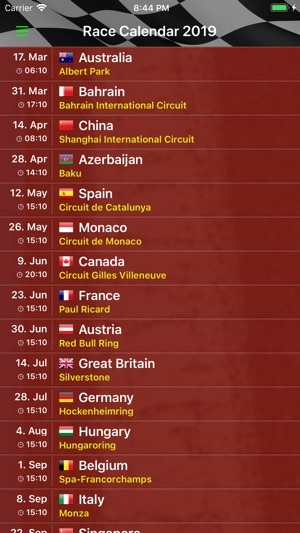 Synchronize all F1 events with your iOS calendar with just one click! All schedule changes are automatically synced with your calendar so you never miss a race! 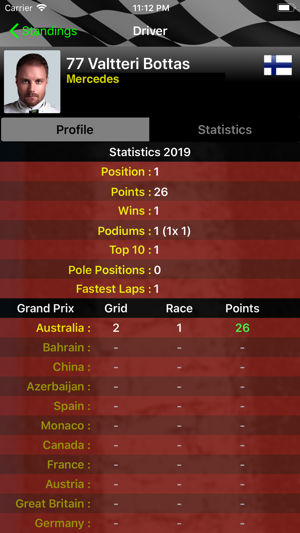 Now you can see the point for the fastest lap in the standings and in the driver and team statistics. Found this to be the perfect source for the content I desire. It’s a fabulous app for free. Most everything we want without paying an arm and leg.The only thing missing(for free might there if I paid) is a little more description on the track(s) layout to include turn numbers.